The Christ at the Checkpoint Conference Begins Today, March 5, in Bethlehem. 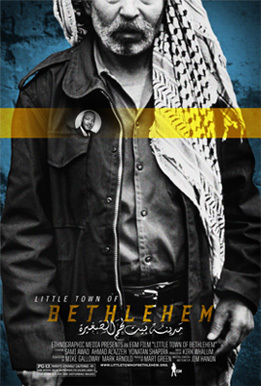 Organized by Bethlehem Bible College, the conference will continue through March 9, and will focus on “the ministry of the Palestinian Church in the context of the Palestinian-Israeli conflict,” according to the conference website (www.christatthecheckpoint.com). “It [the conference] aims is to provide an opportunity for Evangelical Christians to prayerfully seek a proper awareness of issues of peace, justice, and reconciliation in the context of the realities on the ground in the Palestinian Territories,” according to the website. Some sessions will be streamed live around the world. You can also follow the conference proceedings on Twitter (@ChristAtCheckpt) and via hashtag #CATC2012. Prominent evangelical leaders, such as John Ortberg, Gary M. Burge, Shane Claiborne, and Lynne Hybels will be speaking at the conference. Going along with the conference theme of “hope in the midst of conflict,” the award-winning EGM film Little Town of Bethlehem will be shown on Thursday. Sami Awad, executive director of Holy Land Trust and one of the subjects of the film, will lead a discussion following the screening.